This is essentially a set of interconnected techniques or ritual practices for making God real in your life, establishing a relationship with God, and so on—as if that kind of thing really depended on you. The techniques all have the characteristic that they turn you away from external things like the word of God, Christ in the flesh, and the life of the church, in order to seek God in your heart, your life, and your experience. Underneath a lot of talk about being personal with God, it’s a spirituality that actually leaves you alone with yourself [italics mine]. Chapter 2 follows the theme of chapter 1, dealing with why you don’t have to believe your intuitions are the Holy Spirit. He again makes the point that “…the Holy Spirit does work in our hearts, even though our hearts and all the voices in them are our own.” Intuition is a skilled way of seeing, that develops as God works in our lives. The danger is that when we feel like we must credit God with our innermost thoughts and feelings, we actually are short-changing what God is doing in our lives. We are left with no sense of personal growth, because anything good has to be solely God, not our being changed into the likeness of Christ. Moving on, Cary then deals in Chapter 3 with the concept of “letting God take control.” This, again, is a way of short-changing what God is doing in us, and actually stunts our personal growth. Growth in anything involves an increase in responsibility, which people abdicate under the guise of being “spiritual.” The result is stunted spiritual growth. We don’t have to “give God control;” God is in control, and we must learn to accept this, and what God is doing in us, by faith. Finally, in the 4th and last chapter in this section, Cary addresses the concept of “finding God’s will,” a major theme among evangelical Christians, especially those looking for a mate. He dispels the notion that there is such a thing as “the one” or that God really cares whether you have oatmeal or toast for breakfast. A part of maturing is making decisions. The new evangelical theology actually works against any kind of spiritual maturity, conning us into believing that we need to ignore what God is actually doing in our lives, abdicating any kind of real maturity in favor of a vacuous spirituality. This past weekend I went to see Waiting for Superman, the documentary about the failing American public school system. Knowing that the director also did Al Gore’s movie, I was fully prepared to by irritated by gaps in logic and the misuse of data. However, I have to say that I was quite impressed. The Participant Guide to the movie, available at bookstores (including Costco), contains a number of assertions that are unfounded or poorly argued. However, the movie avoids making many of these assertions, sticking pretty close to the experiences of those children, parents and educators featured in the movie. The movie makes two central claims: First, the school system is broken, and it’s not that the failure of children to learn is a symptom of the community they are in, but that the failing school system is contributing to the downfall of the community. For the children they follow in the movie, this seems the case. They want to learn, they have high aspirations, and they have parents or others in their lives who care enough to fight for them. The second claim is that “we know what works.” From the studies of successful programs, people have found that a school needs good teachers, more class time, and accountability. The movie focuses on the “good teachers” aspect the most, and I would agree with them that a system that makes it impossible to get rid of totally inadequate teachers is a problem. As for longer class time, I’m not so sure – homeschooled kids spend less time “in school” than their public school friends, and do as well or better in their SATs, etc. As for accountability, the movie didn’t begin to explain how to do this. No Child Left Behind made this a goal, but all they’ve done is mess up the system worse with factory-inspired metrics that really tell us very little. Good points made in the movie include that our top students don’t compare well with other developed nations (except that we rule in attitude), that some charter schools are quite successful, that too much overlapping and often conflicting regulation exists, and that teachers unions keep failing teachers in place. There are, however, a couple of significant problems with the film. For one, while they mention (once, perhaps) that they focused on some successful charter schools in urban areas, they failed to point out that there are charter schools which are dismal failures. Why are some charter schools achieving lower results than their standard counterparts? They also didn’t deal at all with any area other than places like LA or Harlem. If our schools nationwide are failing (which they implied), are there any different issues in suburban or rural areas? And, do some children succeed in failing schools? Why? The biggest flaw in the movie was that it focused on 5 children who had parents or guardians who placed a high value on education and were motivated to get their kids into college. They did not deal at all with the larger issue of parents who simply don’t care, who won’t even bother to show up for parent-teacher conferences or who won’t even return a teacher’s phone calls. I found it remarkable that in an area with failing schools and only a handful of openings into these wonderful charter schools, only a relatively small number of people were trying to get in. Sure, there were 5 students participating in lotteries for every spot; but there are thousands of children in these areas. Where were they? Would a charter school benefit a child whose mother is too hung over or stoned to bring the child to school? 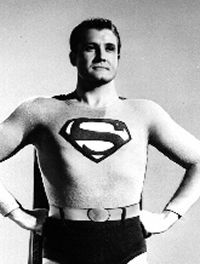 Overall, I still think Waiting for Superman was a good movie. Undoubtedly, there are system failures. However, it would seem that there are problems that go beyond the school system, and it is a grave mistake to presume that the school system is the only problem. I also think it would be a terrible mistake to think that Federal controls are the answer; even district-wide standardization can ignore the issues existing in some neighborhoods. We must discard the factory mentality when it comes to education; neither children nor teachers belong on assembly lines. The real answer, it would seem (as in any meaningful endeavor), is people who care. And, of course, money made available to people who care. I’m part of the Ooze Viral Bloggers, a random group of bloggers who have the opportunity to get a few books for free in exchange for writing reviews. I don’t do it a lot, because to be honest, many of the books just don’t sound that interesting, and I always have a stack of 3 or 4 books on my desk waiting to be read. I made an exception with Imaginary Jesus after reading a sample chapter, which starts out with the author and Jesus in a Portland vegan cafe. Then, Jesus gets punched out. How could I resist a book like this? The book is actually not sacrilegious or irreverent. It is, however, a great deal of fun, making a point while poking fun at Marxists, Portland, Mormons, vegans, and a whole lot more (the author lives in Vancouver, WA, just across the river from Portland). As I live in the Salem area, I enjoyed the local humor immensely. The point of the book is that we tend to remake Jesus in any number of ways, depending upon our own tastes and culture, resulting in the creation of imaginary Jesuses. In fact, you’ll never dream of how many there are until you read the scene that takes place in Powells Books, the largest bookstore on the planet. As Matt travels around Portland (and 1st century Israel) with the Apostle Peter and a talking donkey named Daisy, he meets many imaginary Jesuses, an ex-prostitute, an atheist Bible Study at Portland State, and 2 Mormon missionaries named Elders Laurel and Hardy. Along the way, he deals with some personal issues and finds that no imaginary Jesus is quite good enough. A few reviews compared Mikalatos to C.S. Lewis; I’m assuming only because they both use fiction to make a point. However, I wouldn’t go that far; he’s got a ways to go before he’s in Lewis’ league. Mikalatos is, perhaps, what Terry Pratchett would be like if Pratchett were a Christian. The only negative comment I have is that the book suddenly becomes serious, and it’s a bit difficult to make that shift. 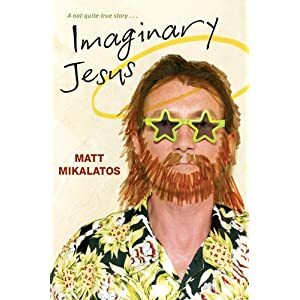 For a few pages I wondered if Mikalatos would just create a new, improved imaginary Jesus for us to believe in, but I think he stops short of that. The last chapter picks the pace back up again, so it ends on a good note. As I was reading through the more serious chapter, it occurred to me that no matter what we try to do in representing who Jesus “really is,” we always end up creating somewhat of an imaginary Jesus. We simply can’t recreate the same emotions that Peter or Mary had about him, as we’ve never known the flesh-and-blood Jesus. It’s not a fault of ours, it’s just the truth. To try to manufacture or replicate the emotions of others is simply to create imaginary feelings. But, I think it’s good to be self-aware of our own tendencies to create false Jesuses for our own purposes, and in this regard, I think Matt Mikalatos has succeeded. I can’t wait for his next book, Night of the Living Dead Christians. Todd Hunter’s Giving Church Another Chance is an interesting—and perhaps brilliant—little book. I am sure that this is not everything that Todd Hunter could say on the subjects of church, liturgy and life, but he says just enough to make you want more, which I believe is precisely the point. Todd has a gift of being able to “reimage” things so that we see them in a different way. In this book, he has taken the elements of the Anglican liturgy and presents them not as merely a way to worship on Sunday mornings, but as a rhythm by which to live our lives. Without being overly critical of the Vineyard or other evangelical styles of worship, he nevertheless shows us that there are elements missing—not just from Sunday mornings, but from the way we live throughout the week. He discusses, for example, how we have become addicted to noise and excitement to the point that we don’t even allow time for quiet in our corporate worship; rather than Sunday morning worship setting the pattern for our week, we have let how we live set the pattern for our worship. Todd simply suggests that we “repractice” church, learning once again the value of contemplation, Bible reading, giving, and so on. Furthermore, just as Israel had been intended to be the means to bless all mankind, this is now our calling, to be the Church for the sake of others. Even those of us from liturgical backgrounds will be challenged by this book to take a step back and reevaluate our attitudes toward church, worship, and life.